A South Bay congressman wants a bill of rights for internet users similar to the one provided to airline passengers. Days after Facebook CEO Mark Zuckerberg testified on Capitol Hill about the Cambridge Analytica data breach, House Minority leader Nancy Pelosi asked U.S. Rep. Ro Khanna, a Democrat representing most of Silicon Valley, to draft a new bill to outline just what users rights should be. 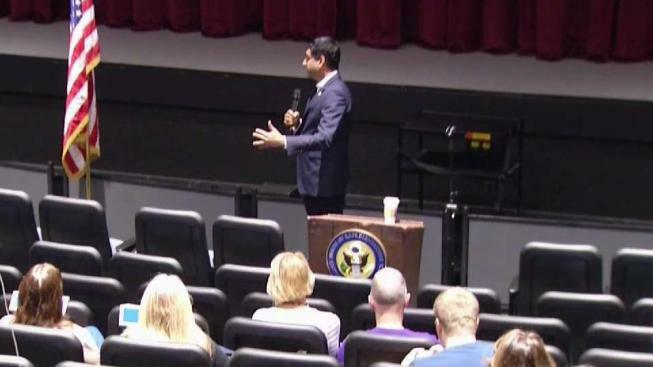 On Sunday, he held a town hall at Independence High School in San Jose, saying he'll be engaging with Silicon Valley tech giants Google, Facebook and Apple for input. "I believe internet users have a right to their own data," Khanna said. Experts say the bill of rights would be a major test for just how much regulation Silicon Valley tech companies would support. According to the events section on his website, Khanna will be holding another town hall on May 2 in Cupertino, where Apple is based.